Finally…I did some writing! Yay me. The following are my flash fiction pieces for the Writing Prompt Challenge I offer each week. As with most things lately, I’m a bit behind. I try to write these in under 30 minutes and with less than 200 words. I do very little editing, just whatever my mind decides upon. Don’t forget, if you’ve been inspired by any of the Writing Prompts, please do share! They thought she was crazy. They said it could never be found, but as she felt the cool draft rush past her as she took each step further down into the darkness, her torch casting deep shadows, she knew they had been fools to doubt her. Even her own family had thought her mad, and she had been forced to make this journey alone, but now none of that mattered. Streaks of light tried their best to break through layers of dirt and ages of disuse. It was a wonder no one had been able to find this place from above; the mountains had shielded it well. A series of whooshing sounds filled the void and bright orange light burned brighter with each flourish. She took sure steps into the light, avoiding toppled and loose stones. Great arched walkways all converged around a center object. She moved closer to the edge, her torch held high in one hand, a grappling hook in the other, and peered down upon the head of a statue several stories tall. As she did, the ceremonial plate it held roared to life, as did the smaller ones placed around its feet. She felt special, chosen, and held her breath in delight. She was now The Keeper of The Library; the magical place of knowledge that people traipsed across the wasteland to visit. It was a legacy she was proud to be a part of, even if no one in her family knew how it had actually come into being. They only knew that one of their ancestors had designed the building to house all the great volumes of the world in one place to ensure that no story was ever lost. The books would just appear and the library would grow each passing year to accommodate the progress. 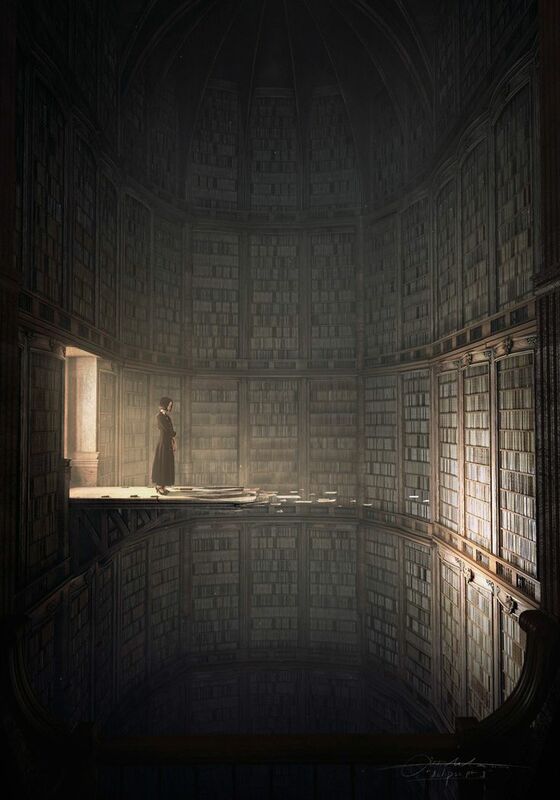 Magic had long been absent from the land, but as she stood in the center of the tower, feeling alone, the pages of a fallen volume stirred at her feet and it somehow brought her comfort. She wasn’t truly alone; some of her favorite people lived within the pages here, and she was now their Keeper. 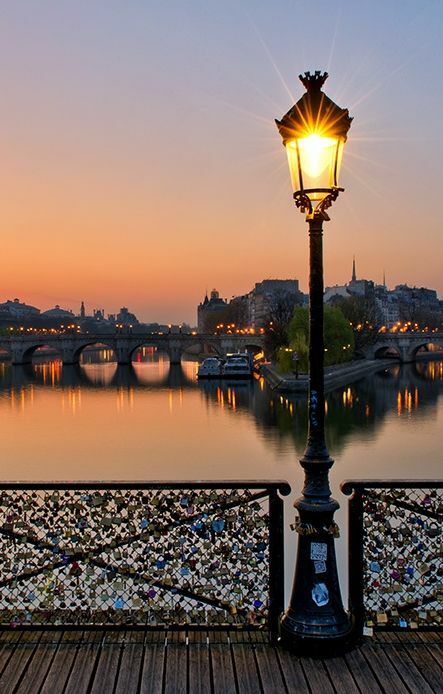 He walked slowly along the bridge, counting the light posts as he went. One, two, three, four – fourth on the right from the Louvre. When they had first added their lock, it had been only one of a handful along the whole length of the bridge. Now the fencing bowed under their weight. He smiled fondly in recollection and at the show of love present before him, but at the same time, felt that now familiar pang of sadness at the thought of her. He had to wonder how many of the other lovers that had once professed their devotion now found themselves in a similar situation. Lost love. He knelt down before the array of metal clasps and nudged a few aside to find his own promise amidst the others. He touched it gently, remembering the glow of her skin in the lamplight, the tug of her lips as she breathlessly laughed at the idea of it all, and the way she smiled after he kissed her. Standing once again to look into the Seine, he wasn’t sure if he should take the next step and join her in peace. Lovers entwined just as these locks…bound together forever?